South African President, Jacob Zuma has just survived a vote of no confidence procedure that could have led to his impeachment. 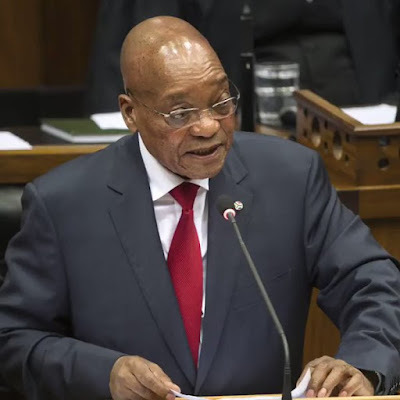 ballot being held in secret, opposition parties had hoped the secret vote would mean Members of Parliament from the governing African National Congress (ANC) might side with them against the president. But Zuma narrowly survived by 198 votes in his favour to 177 votes against him while 9 MPS abstained. In order for the no-confidence motion to pass, at least 50 out of the ANC's 249 MPs would have had to vote against the president. However, the result means at least 26 ANC MPs rebelled, while another nine MPs abstained from voting.